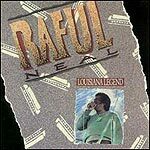 Raful Neal has been kicking around the blues scene for 30 years, often touring with Buddy Guy. Until now, though, his solo recordings have been limited to 45s. His first album, "Louisiana Legend," shows Neal off as a superb vocalist and a top-notch songwriter. The best of the bench, "Lumberta," is a classically structured blues tune with a swinging melody and traditional narrative dealing with an unfaithful woman. Neal is also a fine harmonica player, on a par with the better-known James Cotton. His son Kenny shows himself to be an imaginative guitarist on this album.